Aaron Ramsey (£7.6m) collected the maximum Fantasy Premier League bonus points. Scoring 37 in the Bonus Points System (BPS), the Arsenal midfielder scored his side’s third goal, produced 12 recoveries and completed 83% of 56 attempted passes. Alexis Sanchez (£11.7m) and Romelu Lukaku (£10.1m) were both awarded two bonus points, with 30 in the BPS. Sanchez netted Arsenal's second but his BPS tally suffered as he was tackled on six occasions. Converting Everton’s consolation goal from the penalty spot, Lukaku was tackled four times and caught offside once. Andre Ayew (£7.1m) claimed the maximum Fantasy Premier League bonus points at Turf Moor. Grabbing a goal and an assist, the West Ham midfielder scored 38 in the Bonus Points System (BPS) to return 13 FPL points – his highest haul of the season. Sam Vokes (£5.7m) earned two bonus points for the hosts. The Burnley striker netted for the fifth time in four appearances to tally 26 in the BPS. Sofiane Feghouli (£5.0m) picked up a single bonus point thanks to a BPS tally of 23 after netting the visitors’ first-half equaliser. Michy Batshuayi (£8.4m) earned the maximum Fantasy Premier League bonus points. Scoring 49 in the Bonus Points System (BPS), the Belgian emerged from the bench to net twice and end the season with four goals in the final three Gameweeks. Eden Hazard (£10.5m) collected two bonus points with a BPS score of 36. The winger fired his side’s second goal and also made five key passes. A goal and assist helped Pedro (£6.8m) to a single bonus point thanks to a BPS haul of 35. Harry Kane (£11.9m) received the maximum Fantasy Premier League bonus points. Scoring 83 in the Bonus Points System (BPS), the Tottenham Hotspur striker netted three times at the KCOM Stadium to claim the Golden Boot for the second successive season. Victor Wanyama (£4.8m) picked up two bonus points after scoring 44 in the BPS. The midfielder returned a goal and an assist, completing 93% of 66 pass attempts. Both Christian Eriksen (£8.9m) and Dele Alli (£9.1m) collected a single bonus point apiece, with BPS scores of 41. 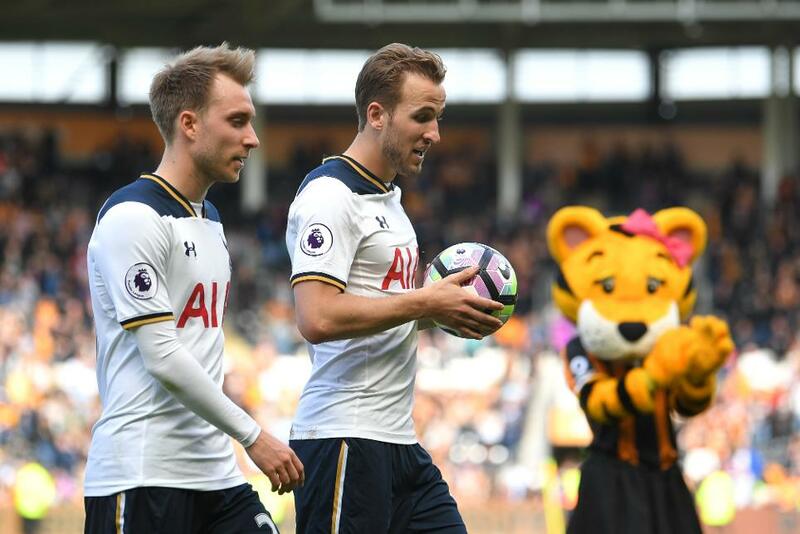 Eriksen provided a pair of assists, while Alli served up a goal and assist to clinch second place in the FPL midfield standings. AFC Bournemouth winger Junior Stanislas (£4.6m) scored for the third successive Gameweek to earn two bonus points, thanks to a BPS haul of 23. Dan Gosling (£4.7m) was awarded a single bonus point, with 21 in the BPS. The Cherries midfielder made 14 recoveries and four successful tackles, in addition to completing 85% of 54 attempted passes. The Liverpool midfield dominated the Fantasy Premier League bonus points. Scoring 49 in the Bonus Points System (BPS), Georginio Wijnaldum (£7.5m) received the maximum bonus after supplying a goal and assist. Philippe Coutinho (£8.7m) picked up two bonus points, with 37 in the BPS. The Brazilian netted his side’s second, produced seven successful dribbles and completed 86% of 108 attempted passes. A goal and four key passes helped Adam Lallana (£6.7m) to a single bonus point, with a BPS tally of 30. Paul Pogba (£8.2m) received the maximum Fantasy Premier League bonus points for Manchester United. Despite being replaced on 44 minutes, midfielder bagged a goal and assist to score 39 in the Bonus Points System (BPS). Demetri Mitchell (£4.0m) claimed two bonus points in his Premier League debut for the hosts. Scoring 35 in the BPS, the defender made five clearances, blocks and interceptions (CBI) and three successful tackles, in addition to supplying a pair of key passes. Eric Bailly (£5.5m) picked up a single bonus point, with 34 in the BPS. The Ivorian made 12 CBIs, eight recoveries and two successful tackles. Geoff Cameron (£4.2m) collected the maximum Fantasy Premier League bonus points. Scoring 43 in the Bonus Points System (BPS), the Stoke City FPL defender supplied the assist for his side’s goal and also made six CBIs, three recoveries and a trio of successful tackles. Eleven recoveries and six saves earned Jack Butland (£4.5m) two bonus points, with a BPS haul of 32. Peter Crouch (£4.4m) picked up a single bonus point after netting the winner to score 30 in the BPS. Fernando Llorente (£6.3m) received the maximum Fantasy Premier League bonus points. The Swansea City forward tallied 42 in the Bonus Points System (BPS) after providing a goal and an assist. Jordan Ayew (£5.0m) collected two bonus points, with a BPS haul of 36. The Ghanaian netted the hosts’ equalising goal and completed 94% of 36 attempted passes. Jonny Evans (£4.4m) opened the scoring for West Brom and also produced eight CBIs and seven recoveries to claim a single bonus point, with 28 in the BPS.
.@aguerosergiokun was  of the show at #watfordvcity! Sergio Aguero (£12.7m) earned the maximum Fantasy Premier League bonus points. The Manchester City striker returned two goals and an assist at Vicarage Road to score 56 in the Bonus Points System (BPS) and equal his season-high haul of 16 points. A goal and assist helped Gabriel Jesus (£9.1m) score 47 in the BPS to claim two bonus points. Vincent Kompany (£6.0m) picked up a single bonus point, with 46 in the BPS. The Man City captain netted an early opener and completed 91% of 63 attempted passes.